Tuesday, April 23, 2019 from 12:30-1:30 This quick one hour seminar will be covering the importance of Hip strengthening presented by Empower Physical Therapists. Hip strengthening is important for better standing and walking, balance, coordination & flexibility! Come join the group for some free helpful tips on taking care of YOU. Snacks and drink will be served. Sign up in office or by phone! Could you use some assistance with your new phone, tablet or laptop? Perhaps you just need to brush up on how to use your email or Facebook account. Bring your questions as you meet one-on-one with a volunteer in this FREE program. Must register one week in advance, cancellations must be at least 24 hours in advance to respect the volunteer assistant’s time. Please note the topic you would like assistance with at time of registration. Interested in volunteering? Call the office or email juliet@micityoffraser.com to be put on the volunteer call list! Be ready and prepared for life’s biggest medical and financial challenges! This workshop presented by Alysia Ritter of Healthcare Advisor will focus on preparation and prevention. You will also receive a helpful booklet to keep to help organize information in case of an emergency. 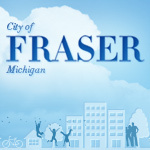 To add another level of preparation, the City of Fraser will talk about the new SMART 911 system and how it will help a police or EMS better protect you in case of emergency. Pre-register by April 19th by calling the office at 586.296.8483!